Transportation and Storage services are available through our sister company, Stow It West. Why pay to ship your exhibit back home and store it, only to ship it out to the next show, risking loss and damage? 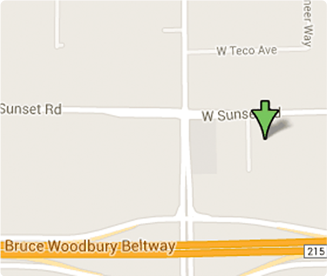 Click on the tabs below to see how we can help you get the best return on your investment. 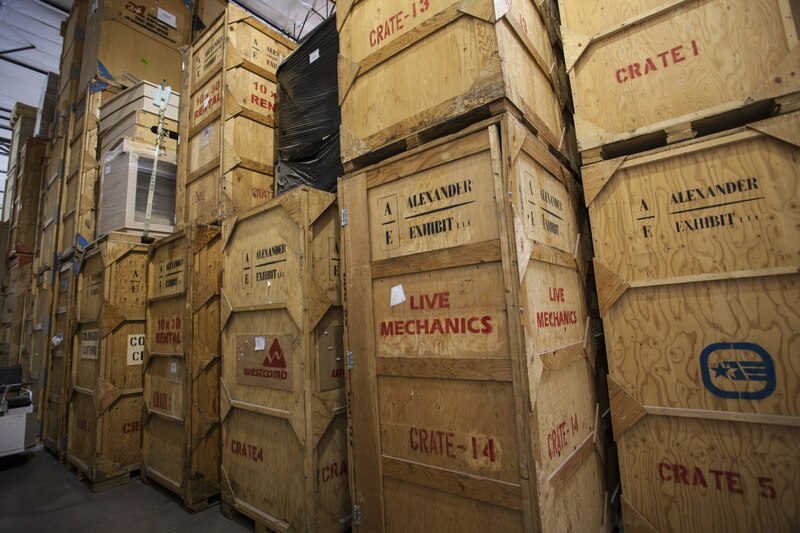 Custom crating options as well as labeling and packaging are available through A-One Exhibits. We can also handle your storage space needs through Stow-It West. 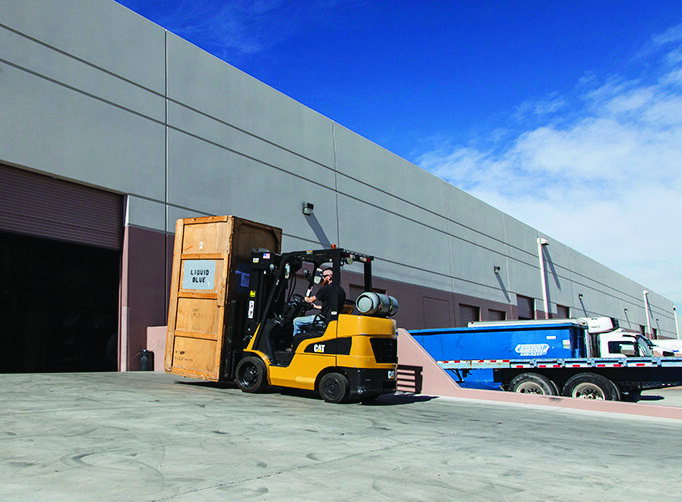 Located in the same facility as A-One Exhibits headquarters, Stow-It West’s climate controlled warehouses in Las Vegas, Nevada are centrally located in close proximity to all convention and mega-hotel locations. 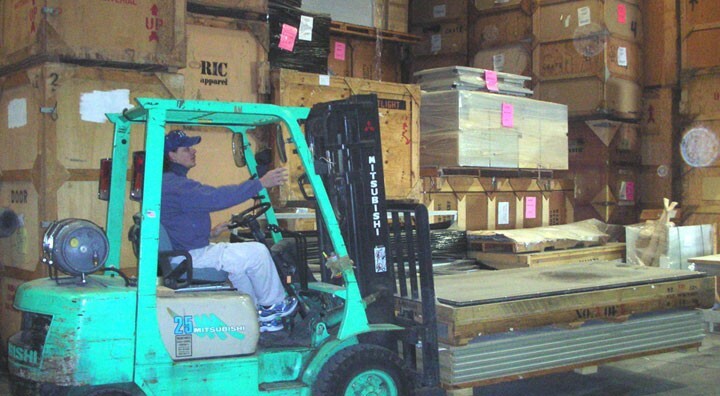 The warehouse has ample room for storage and staging of your exhibit. This allows for careful and comfortable inventory, assembly, and inspection of all of our client’s trade show display and exhibit materials. Additionally, the warehouse is high-piled storage certified and has loading docks and drive-in doors to allow for easy transportation access. For optimum safety, the facility houses a state-of-the-art fire suppression system, motion sensors, and 24 hour security monitoring. The motion sensors are designed and configured to maximize protection against unauthorized intruders ensuring armed guards will respond to any alarm set off. Rest in the knowledge that your exhibit is carefully protected. Stow-It West provides transportation across the United States. Your tradeshow costs can increase significantly if you contract with an inexperienced company to transport your exhibit. We are a tradeshow logistics expert with over 30 years of experience practicing the most efficient approach in moving show freight while saving our clients unnecessary fees. 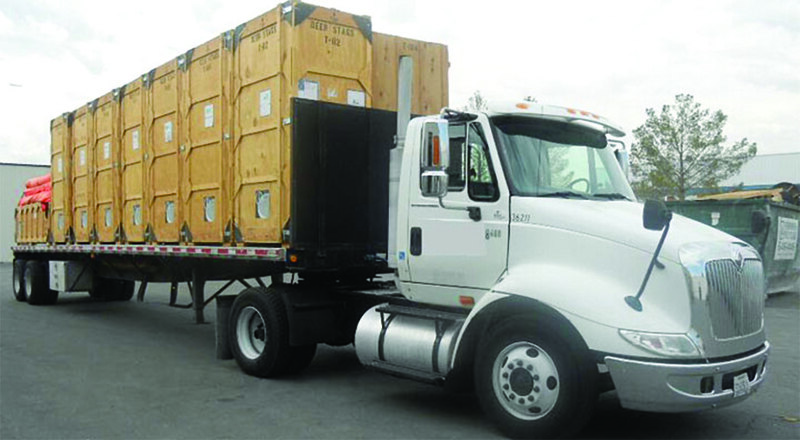 If you want your tradeshow exhibit and materials to arrive on-time, in good condition and at the least expense, let Stow-It West provide you with a worry-free solution. 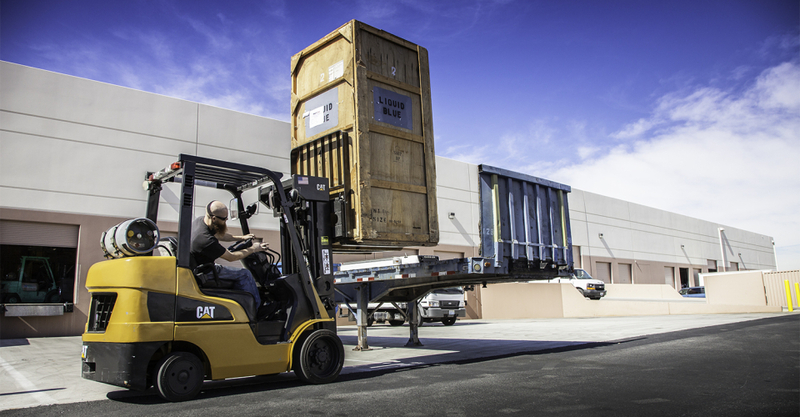 Exhibit shipping does not have to be exceedingly expensive or complex. Proactive shipment management, competitive rates, and open communication are the values of Stow-It West. We will tailor a plan based on your individual tradeshow/exibit/display needs. Be sure to check out our other services.